The famous American legend Alice Cooper has decided to sell his best favorite car. 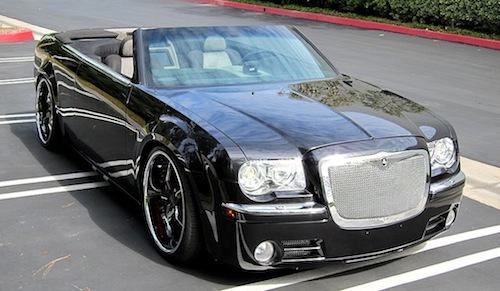 This Chrysler 300 series convertible has been designed and developed by the West Coats Customs. This fantastic designed car owned by Cooper for a long time by himself not only that it is signed by the rocker too. The e-Bay auction informed that Alice Cooper has invested more than $300K to convert the Chrysler 300 series Roadster and made something different from other cars of the series. This investment was quite reasonable and realistic. This is exiting and good news for the celebrity car user/customers. You can go for this legend car and be owner of it. So, don’t delay to have, whatever the price of it.